Ubisoft showed off Watch_Dogs during its E3 presentation last year and interest in the open-world action title has been high ever since. The company is bringing it along for the ride this year too but the developers still appear to be nervous about how it will be received by the fans, seeing as they've had a year to digest that ten minute long presentation. As we are approaching the last months of our production, E3 is overlapping many other on-going priorities. Last year, we were nervous to show our creation to the world, which is a normal reaction to unveiling something that has been in the works for many years. You never know what the reaction will be. Well, I would say we are still in that mind-set. We have many more aspects of Watch_Dogs to present, many core features that have yet to be demonstrated. We take nothing for granted and push as hard as we can. Watch_Dogs has since made an appearance during the reveal of the PlayStation 4 and anticipation appeared to be rife there too. It's due to be released in North America on 19th November, Europe on 21st November and in the UK on 22nd November. Ubisoft's presentation will take place on 10th June and the company will be showing off plenty of other games too, including Assassin’s Creed IV Black Flag, Rayman Legends and Splinter Cell: Blacklist. We don't think Ubisoft has too much to worry about, but what about you? Are you looking forward to seeing more at E3? Let us know in the comment section below. Have some faith in your own product, Ubi! Believe it or not...the hype for Watch Dogs is extremely high. Set the bar, Ubisoft! Watch Dogs looks class so far! Second most wanted game this year only behind Ace Attorney 5! Looks awesome, Ubi, don't worry! With Just Reason, there are too many fanboys around that stick to rinse-n-repeat franchises and are only willing to try something else if/when the game drops to bargin bin prices. If I'm unsure about a new franchise I tend to rent it first tbh, but if the game can impress me enough before hand I just buy it as I am with Watchdogs. This is something else against drm restriction on used/borrowed disc games... New franchises will reach a lower audience when it can't be tried via borrow from freind or a rental. I think Watchdogs will be bigger on WiiU than other platforms, purly as due to lower publisher suport and WiiU not getting the yearly rince-n-repeat sequels combined with most WiiU owners are usually mature enough to actually try new things. Shadow of the Eternals' studios removed its kickstarter campaign for exciting news...Nintendo, is that you? Thing is, new IPs at Ubisoft tend to be just 'good', they're not excellent, great, or anything like that. Hopefully this is their biggest exception yet since Prince of Persia: Sands of Time (not a completely new IP at the time, but still). I really hope this game ends up being actually good and...well, sells a lot on the WIi U! PLEASE do! @Melkaticox In fairness the first game in any new franchise is a starting point. Developers then find what works, what doesn't and refine it on the sequel, often adding new features which then are worked on and refined on future sequels... trouble is it gets to a point when sequels turn into rince-n-repeats. Usually the 2nd or 3rd in a franchise are generally looked upon as the best, though there are a few exceptions. @Melkaticox I thought ZombiU was excellent. Just needed the glitches and load times fixed. Amazing survival horror title. Great gameplay mechanics, music, environments, atmosphere, and replay value. It was a survival horror fan's horror game. I've not played any of the Assassin's Creed games as they look to me like too much of a rip-off of the Prince of Persia games and they seem kinda like shovelware (ala CoD) at this point. I liked Red Steel ok. I thought it got way too much grief, but it certainly was far from great. If I were Ubi I'ld be worried about sales regardless of reception. A bunch of similar games coming out this autumn - GTA5, Batman - and their own AC4. somethings gotta give. Only so much money, and time, to go around, and a lot of people will be spending money on new consoles this holiday and new games on the new systems. I think this will do better than AC4, I'm just not sure if that means they win, or lose. Considering it was pretty much the gem of E3 last year, I don't think they have too much to worry about. The stuff they showed so far looks great, but as people have said... you can make anything good in these videos. I don't think it's going to feel like a proper next-gen game. They can't make it with next gen in mind when 80% of their sales will come from 360 and PS3. 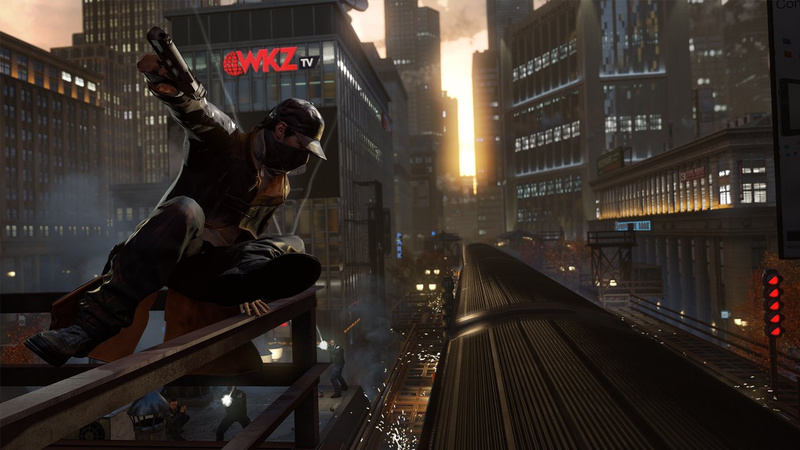 In 3 years, we'll look back at Watch Dogs and consider it part of the 360/PS3 era. Games like Just Cause and Gun were the same for this gen, they got slightly prettier versions on 360 but look at them now... clearly PS2 games. @JaivfromONM You are my kind of person with Ace Attorney 5 at the top of your list! Personally, I'm not all that hyped on Watch Dogs yet. Not sure why. Maybe E3 will win me over. @Peach64 Watch Dogs won't feel like a proper next-gen game? What's a next gen game? If you're talking about graphics then yes it's not a next-gen game because it won't take full advantage of the PS4, Xbox One and even the Wii U hardware. If you're talking about overall experience then i disagree because your PS4 experience will be almost the same as your current PS3 or 360 experience. The PS4 controller is basically a Dualshock 3 with a touchpad on it and Xbox One has the same controller as the 360. Wii U on the other hand gives you that next-gen experience thanks to the touchscreen on the Gamepad. I'm not surprised. This game is really being over-hyped. Watch_Dogs looks fascinating. I see it as potentially being a top tier new IP and this first installment of the franchise being a truly great game. This bit of news makes me a little concerned that Ubisoft (a company that I really like) knows that this title won't be as good as it is being billed by fans and the media. Hopefully, though, it will be fantastic. Nervous and modest people are ALWAYS the best creators and preformers of ANYTHING! Being over confident always lead to disaster. The only way Ubisoft would disappoint me is if the game got cancelled for Wii U. @WiiURockz It's about the feel of the game. I recently bought CoD 3 on PS3, and it feels... old. You can very much feel that it's a gen6 game on a gen7 console. Compared to CoD 4, which is a gen7 game. Now, I don't know if it will feel like that with gen 7/8, we will have to wait and see. cant wait, dont worry ubi! all of your games are awesome, keep on doing a great job, we love your works. I am planning to get this game no matter what. However, if this game doesn't have off-TV screen play for Wii U, then I'll be getting it on Xbox 360. I'm really hoping for off-screen play on the Wii U though. If they add that, then on my list the Wii U version will officially be the definitive one. Buying this day one with a PS4, they've been working on a new AI engine for over the past four years for next gen. One of the other feature sound smart on the PS4 affecting the way the game plays out, we see more features at E3 next week. Ubisoft, you have nothing to worry about. People have been hyped for this game ever since you announced it. Just keep doing what you're doing and you'll be fine. You're a much better company than Electronic A**. 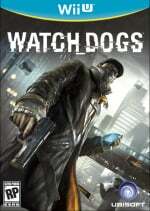 I bet Watch Dogs will succeed Ubi! watchdogs not much to go on till we get full review if your looking for good adventure game till it comes out ,get dishonored one of the best games out there. I like their mindset - they are still working hard, not assuming they have it in the bag and being overconfident. I'm not a fan of violent games and in fact I abhor the GTA series... this however looks to be a game I can get behind! Dealing out justice and stopping the large faceless corporations at the same time. Sounds good to me. I really want to see the Wii U version, hell... even the Xbox 360 or PS3 versions, just to have some sense of what I paid alot of money for. I hope they don't gimp their current-gen/Wii U version. Since last E3 i realized that i can watch dogs by just looking out of the window. You're gonna have a hard time there, noobisoft. I just hope the story will be good. Without that i don't see that much awesome in the game yet. Watch Creed Splinter Blacklist Dogs... I'm tempering my expectations with this game... a ton of it looks incredibly "scripted"... "ubiengine" it's like all their games look and feel the same.. except rayman of course! This game has a pretty ambitious concept, which always makes for a good trailer. The question is whether the gameplay in the end product can deliver on its promise. Don't worry about it too much, Ubi. Even if Watch Dogs doesn't do too hot, we're all still loving the zany wackiness that is Rayman Legends, so that's your guaranteed fall-back plan if nothing else. Just, whatever you do, don't go abandoning Nintendo over the stupid crap that the analysts are trying to convince people of.